The NGC Idea Garden started off the new year with the second in its series of “Ideas a la Cart” programs. On January 10, Julie Peterson and her team (Mary Raymond, Mary Lynn Pololak, Mary Schmidek, Tammy Schwab and Christine Sinclair) presented the wonderful succulent program, “Creative Coastal Designs”. Available seats were filled to capacity for both the 11:30 and 1:30 p.m. presentations. Julie explained how easy it is to use and care for succulents in all sorts of “coastal containers”. She showed the use of color, texture and imagination in her own beautiful displayed creations. All her containers included a seaside flair. 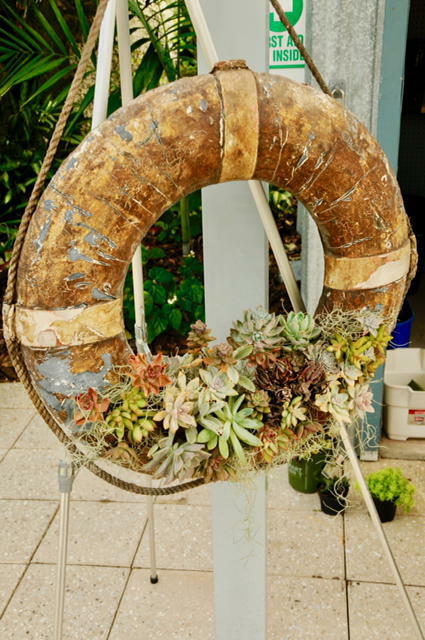 An old life preserver planted with colorful succulents would be perfect decor for a courtyard pool area. Other inspirational pieces included a conch shell with small succulents and a hanging coconut shell painted with a pirate face planted with a string of pearls and spikes aloes. The audience was amazed by a trifle bowl mounded with echeveria, a piece of driftwood dripping with clusters of succulents and a plastic flamingo sporting a succulent wreath around its neck. The next program was also a WOW! On January 24 Lindsey Clark and Marina Miller presented “Pollinators: Bees, Butterflies and Hummingbirds. Both the 11:30 and 1:30 audiences were treated to lots of information that even serious gardeners were not aware of. Marina is a beekeeper, so she has great expertise. Lanie Grever, Eliza Nevin and Libby McKee also assisted on this team. The presentation was very visual with props ranging from fruit and plants to books and charts. 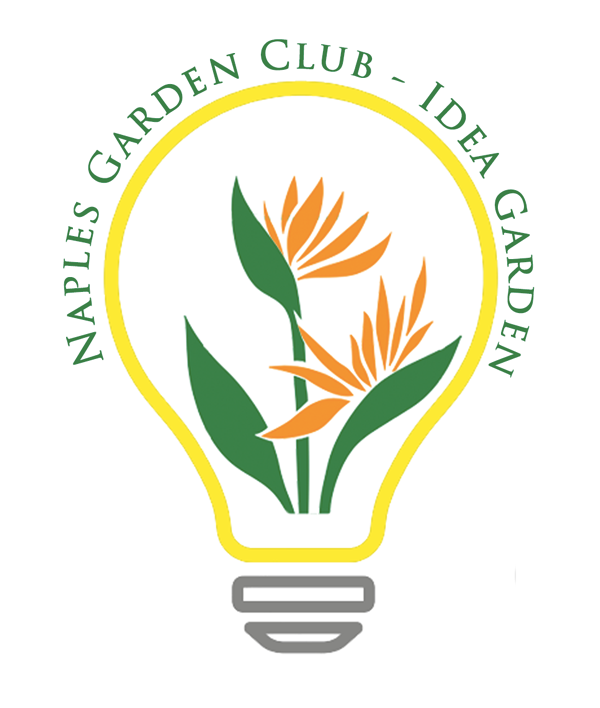 On another note, Naples Garden Club was pleased to be included in a special day of celebration as Naples Botanical Garden planned an entire day to highlight the receipt of the 2017 Award for Garden Excellence. 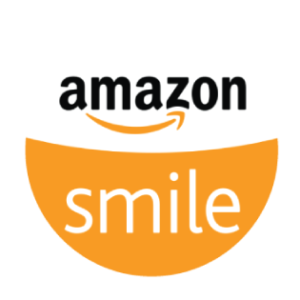 At the request of NBG, Julie Peterson repeated her wonderful program on Sunday, January 21. The event invitation stated, “we will enjoy all that makes the Garden excellent”. We were proud to be part of the day’s highlights. The Idea Garden is making a difference.